Ipili leadership in the Porgera Valley was held by 'akali andane' (Big Men) and 'nembo yene' (Wise Men), who were great orators, warriors and successful negotiators. Before Christian missionisation in the 1960s, rituals of growth ensured that young Ipili boys became proficient hunters and warriors. Spells were learned to ensure arrows would cause infection in an enemy's wounds, or would find their mark more easily with challenging prey. 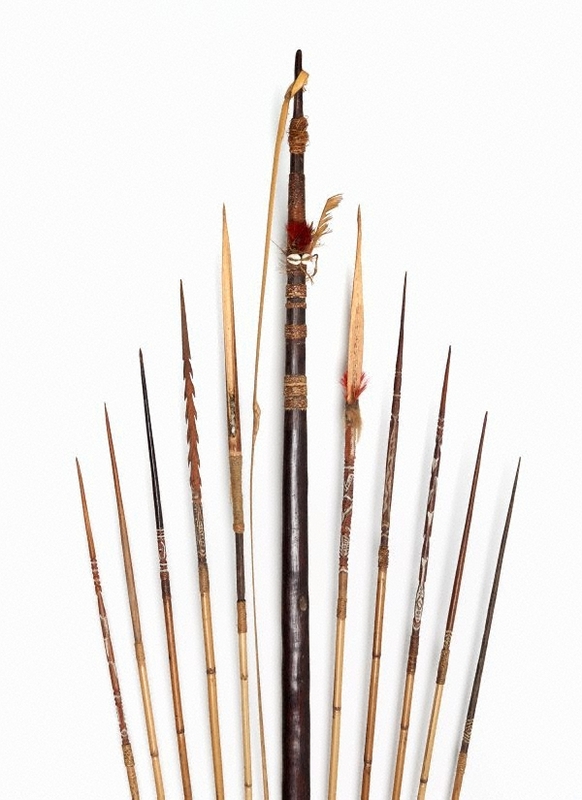 'Yanda' (bows) made from black palm wood were sometimes decorated with 'wate' (cowrie shells) traded through Enga exchange partners. 'Embo' (bowstrings) were made from 'teya' (liana vine). Each 'timu' (arrow) was painstakingly created for a specific target or purpose. 'Andawa' were barbed and difficult to remove. 'Kanudua' had a knife-like blade. 'Kopi' contained a broad-blade 'blood gutter' and were used for pigs and cassowaries. 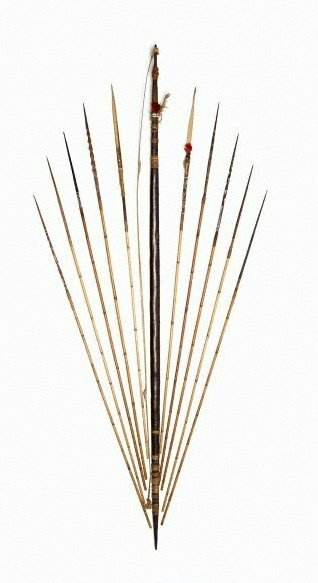 Decorated arrows, known as 'talango', were principally ceremonial. 'Wanga' were pronged and used for hunting birds.